Reservations or quotas, the dominant mode of affirmative action that India has experimented with, remains a highly emotive subject. In an election year, it has predictably stirred up a hornets’ nest. And yet, despite the very high-decibel debates surrounding the latest announcement, many ordinary citizens lack clear understanding of the history and implementation of such policy in the country. Even prior to India’s independence and the provision of reservations in the Constitution, several princely states had in the 19th and early 20th century provided reservations in some form to lower castes. While the Scheduled Castes (SC) and Scheduled Tribes (ST) were able to avail reservations right after Independence; it took much longer for what was mandated in the Constitution to be implemented for the Other Backward Classes ( OBCs). Reservations for Scheduled Castes and Scheduled Tribes: Article 341 and Article 342 of the Constitution provides for the inclusion of groups under the SC and ST category. In 1956, lower castes from the Sikh community were included and considered as Scheduled Castes, whereas the neo Buddhists were included in 1990. Groups from the previously untouchable castes who converted to Islam and Christianity have not been included in the SC list. 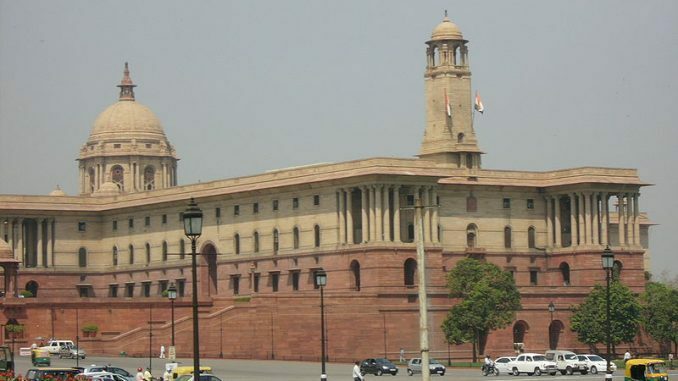 Reservations in cases of promotions for SCs and STs: With a constitutional amendment in 1995, reservations were made available to SCs and STs in matters of promotion as well. The validity of this amendment was challenged in M. Nagaraj vs Union of India 2006. The court restricted the scope of the amendment by subjecting it to the concept of creamy layers. This was upheld in a 2018 Supreme Court judgement which upheld the application of creamy layer in matters of promotion. Reservations for Other Backward Classes (OBC): The first commission to investigate the possibility and details of providing reservations to OBCs was set up in 1953. They provided their report to the Central government in 1955, who didn’t act on it, but asked several of the states to set up their lists of backward classes and fix quotas for them. Several states set up Backward Class Commissions, and provided reservations in public services and employment which varied in number from state to state. The Second Backward commission was set up in 1978 which estimated the OBC population in the state to be around 52 percent and recommended 27 percent reservations for them. The report known as the Mandal Commission (headed by Bindeshwari Prasad Mandal ) report was submitted to the government in 1980 but it wasn’t until 1990 with the non Congress Coalition government in place that the recommendations were implemented. Initially, reservations in public services of the central government came into force, whereas reservations in central higher educational institutions were implemented in 2006. Both the steps by the government were strongly resisted by the upper castes, with several mass protests, but got judicial backing. The courts while upholding 27 percent reservations put conditions and restricted the ‘creamy layer’ of OBCs from accessing reservation. Are reservations applicable in private institutions as well? The 93rd Constitutional Amendment Act which came into force in 2006 paved the way for reservations in private institutions. The amendments insert a clause in Article 15 of the constitution and the clause states that special provisions can be made “for the advancement of socially and educationally backward classes of citizens or for the Scheduled Castes or the Scheduled Tribes in so far as such special provisions relate to the their admission to educational institutions including private educational institutions, whether aided or unaided by the State,” except in minority institutions. While the provision is available in the Constitution, there has not been any legislative action taken by the Central government to mandate it. On January 15th, the government announced that reservations for SCs, STs, OBCs and EWS would be applicable for private institutions as well from the following academic year. Reports claim that government sources have hinted at the possibility of moving a bill in this regard in the next budget session. What is the percentage of reservations for various categories? 15 percent and 7.5 percent of positions in central government services are reserved for SCs and STs respectively, while 27 percent are for OBCs. The same percentage also applies to seats in central educational institutions. With the addition of 10 percent for EWS, as per the latest Constitutional Amendment Bill, the percentage of reservations in central government services and educational institutions will now be around 59.5 percentage. In reservation to services and educational institutions at the state level, the percentage for SCs, STs and OBCs vary from state to state based on the demographics. For example, in Arunachal Pradesh there is 45 percent reservation for STs, 1 percent reservation for SCs and no reservation for OBCs as there is no OBC population in the state. Most states in the north-eastern part of the country have higher reservation rates under STs. Himachal Pradesh and Punjab with 25 and 29 percent respectively are two of the state with comparatively higher reservations for SCs. What has the Court said in the past about reservation exceeding 50 percent? 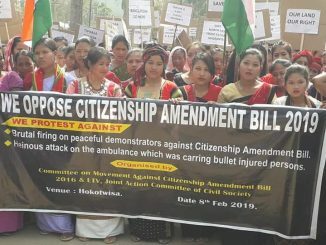 However, the judgment also pointed out that while 50 percent shall be the rule, there could be certain extraordinary situations inherent in the diversity of India and its people that call for relaxation of the rule. But for that, extreme caution must be exercised and a special case made out. Several groups including the Patidars in Gujarat, Jats in Haryana and Marathas in Maharashtra have in the recent past violently agitated for their inclusion in the state reservation quotas. Haryana had in 2016 passed a bill which created reservations for the Jats and five other groups by including them in a new category called ‘backward classes’. This move was stayed by the High Court of Punjab and Haryana, which stated that reservations would then exceed the 50 percent limit set by the Supreme Court. Recently in November 2018, the Maharashtra assembly unanimously passed a bill which provided for 16 percent reservation in higher education and public services to the Maratha community. But similar reservation provided to the community in 2014 was stayed by the Bombay High Court, pointing to reservations exceeding 50 percent. How are selections made for reserved categories? Applicants who are applying under the various reserved category quotas enjoy certain relaxations in the form of marks, age etc. For example, the University Grants Commission Regulation 2010 provides a 5 percent relaxation in marks to SCs,STs,OBCs at the graduate and masters level in universities for teaching or other staff positions. What happens when seats for reserved categories are not filled up? In cases of employment in central public services, if during the first recruitment attempt the SC/ST/OBC seats are not filled up, then a second recruitment will be made in the same recruiting year. The seats which remain unfilled during that year will be considered as backlog seats; carried forward to the next year for the reserved categories and treated separately from that year’s list. Backlog seats will get carried on over the years until they are filled. There is a general ban of providing reserved seats to unreserved candidates, but in exceptional situations where a post can’t be allowed to remain vacant in Group A Central Services, reserved seats can be unreserved following certain procedures. Some states have taken a slightly different approach. For example in Kerala if an ST seat remains vacant it can be filled by a member from SC and vice versa. With respect to reservations in educational institutional there have seen some decisions by High Courts in the past, where if the seats for SC/ST/OBC are not filled , then it would be opened up to candidates from the general category. For example in Archana Thakur vs State of HP in 2018, the High Court directed that if reserved seats for SC and ST were unfilled, it should be opened to students from the general category based on merit. Similarly the High Court of Tripura in 2015 had directed that if seats under any reserved category remained unfilled then the exchange method (among reserved categories) shouldn’t be employed and it should be opened to the general category on merit. Can candidates belonging to a reserved category claim seats in the general category? Yes, general category seats can be claimed by anyone including members of the SC/ST/OBC groups on the basis of merit. But the applicant can’t avail relaxation ( age, marks etc ) and be accommodated in the general category. The Supreme Court in Deepa Ev vs Union of India, held that a candidate who has availed relaxation under the OBC category, attended the interview under OBC , can’t claim admission under the general category. However, based on legal precedence, any SC/ST/OBC candidate who has applied and has been chosen in the open category on basis of merit without any relaxations shall not have any impact on reserved seats. What is new about the latest reservation category? EWS is a class-based category, which marks a departure from the other major categories of reservation in the past which have all been based on caste. The indicators which were used to select groups as part of the OBC list by the Mandal Commission and by various State Commissions depended on caste as a leading indicator. With the new introduction, people irrespective of caste can avail reservations under this category if their gross annual family income is less than Rs 8 lakh and if they possess agricultural land below 5 acres and a residential house below 1000 square foot. In urban areas, their residential plot should be below 100 yards in a notified municipal area or below 200 yards in a non-notified municipal area.